Two Geisel medical students were recognized during the Association of American Medical Colleges (AAMC) annual meeting for their demonstrated leadership and commitment to diversity. Chad Lewis ’20 has received a prestigious Herbert W. Nickens Scholarship award, and Alex Lindqwister ’21, was elected national chair of the AAMC Organization of Student Representatives (OSR). Lindqwister is currently a Northeast regional delegate. 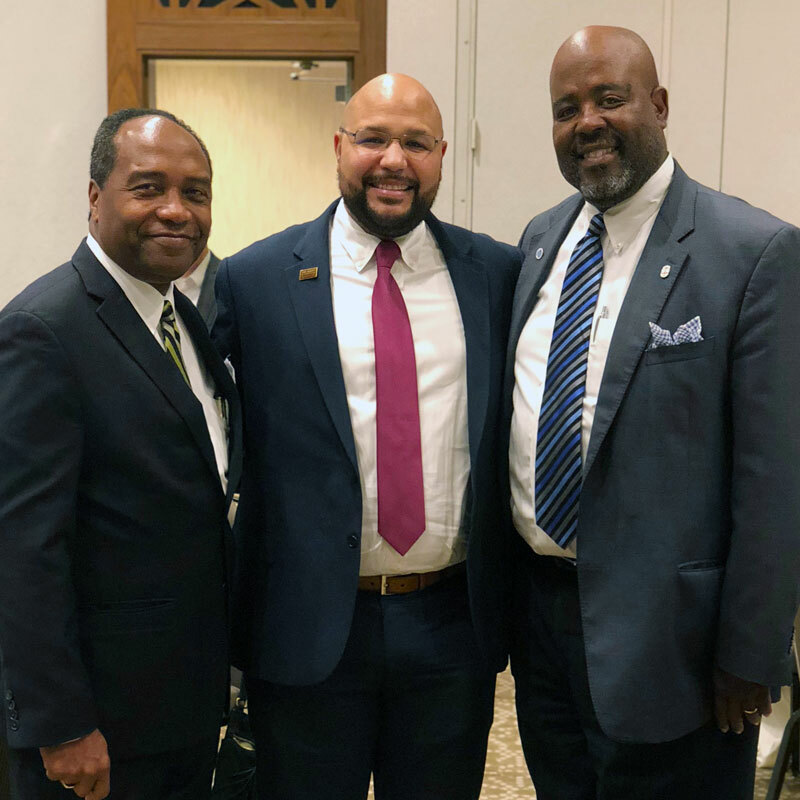 Left to right: Griffin P. Rodgers, MD, MACP, Director of the NIH's National Institute of Diabetes and Digestive and Kidney Diseases; Chad Lewis’20; Cedric M. Bright, MD, FACP, assistant dean for admissions, director of special programs, and associate professor of medicine at the UNC School of Medicine. "I feel very honored and inspired by being selected for this award. Dr. Nickens has left behind an impressive legacy and huge shoes for us to fill,” Lewis says. 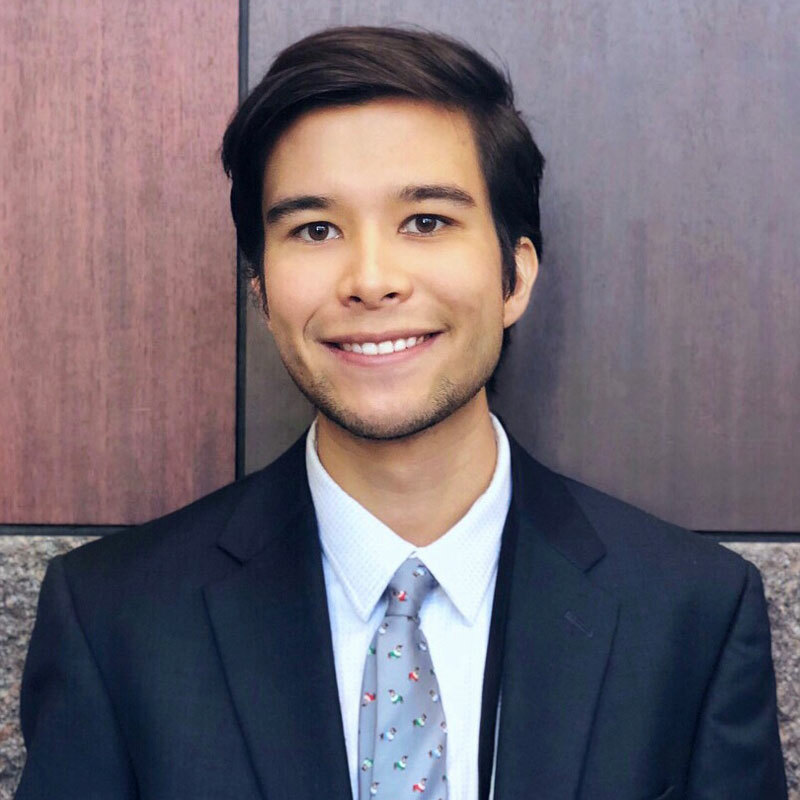 “Increasing the number of underrepresented minorities entering medicine through mentorship and advocacy has always been a priority of mine, and it’s something that I intend to keep working toward throughout my career. If it wasn't for the many outstanding people helping me along each step of my journey, I would have never made it this far. Upholding that tradition is the least I can do." The competitive scholarship is awarded nationally to five outstanding third-year medical students who have shown leadership in eliminating inequities in medical education and healthcare and in addressing educational, societal, and healthcare needs of racial and ethnic minorities in the U.S.
Lewis is a founding member of Black Students at Geisel, a group dedicated to enriching diversity at the medical school by providing mentoring and networking opportunities to minority students while hosting public cultural events to involve the broader community. He is also a co-founder of the Health Equity Task Force, and as a member of student government sits on the medical school’s Diversity Council. OSR, the student branch of the AAMC focused on academic medicine and medical education, represents undergraduate medical students in the U.S. to physicians, educators, and university faculty. Elected by fellow OSR representatives, Lindqwister begins his three-year commitment as chair-elect prior to transitioning to chair in November 2019. A Geisel Medical Education Scholar, Lindqwister has a deep-rooted interest in equity in medical education and medical futurism—he believes medicine should be taught to reflect not only an increasingly diverse student body, but a diverse patient population. And he is adamant about advising medical students on how rapid advancements in technology will radically change the practice of medical practice. “I plan to use my platform as incoming chair to push both of these issues to the forefront of discussion in medical education,” he says.